Virtual Mass Energy Saving Systems use phase change materials (PCM) to reduce energy consumption and reduce the cost of air conditioning. Installed as a retrofit system over concrete or metal roofs, the Virtual Mass System reduces energy use and cost by 30 – 40% and pays for itself with energy savings within 5 years. MCR Guam’s patent pending systems combine biodegradable and non toxic PCM with innovative roofing assemblies and work in a passive system to save you money. 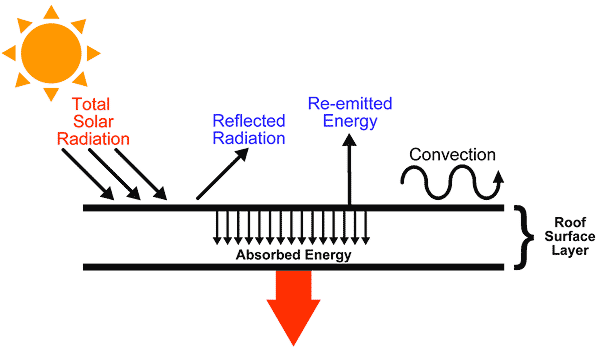 The Virtual Mass System literally reduces the amount of thermal energy (heat) that is transferred into the building by trapping and arresting the flow of warm energy into the building. Less energy or heat inside your building means less air con energy usage and big savings. At night, when the sun goes down and the air becomes cooler, the trapped warm energy is released to the nighttime sky. MCR Guam’s Virtual Mass Systems have been developed and field tested in Guam and are endorsed by leading mechanical engineering companies. Patent Pending assemblies are available for metal roof applications and elastomeric fluid applied roof coatings. 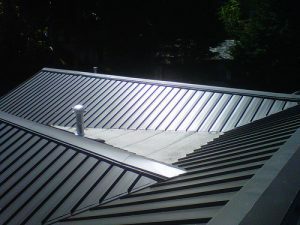 When installed, the roof looks exactly like a metal roof or a painted concrete roof and can be warranted for up to 20 years for thermal energy performance and roofing performance. The math is simple: 30-40% energy savings, 5 year payback! 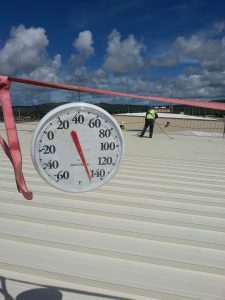 MCR Guam’s Virtual Mass Active PCM systems incorporate specific temperature phase change materials (PCM) in an active cooling system where roofs and walls are retrofitted inside the building to create cool, radiant surfaces that remove warm energy from the conditioned space. The system utilizes chilled water systems that circulate through the PCM assemblies which, having captured warm room energy, then releases the energy to the cycling hydronics. This patent pending system is showcased in the GHC Affordable Housing model homes opening summer 2015. The results are fantastic! Depending upon the system designed, energy savings exceed 50% and can be as high as 75%! Because every building space and use is different, the Virtual Mass Active System is engineered for your building space and results are guaranteed. Energy Audits, Commissioning and Retro Commissioning professional services are also supported by MCR Guam. Simple energy audits or full scale energy use analysis can be performed to help you understand where your energy dollars go and provide cost effective solutions for big dollar savings! New construction projects are opportunities to maximize the performance of Virtual Mass PCM systems. Utilizing Virtual Mass PCM allows the designer to reduce the size of the mechanical equipment package by 25-30%. Cost savings from air conditioning downsizing can be applied to the cost of the PCM and can reduce the Return on Investment (ROI) to as little as 2 1/2 years! Plus, the building will use less energy over its lifetime, yielding lower A/C costs and a higher performing building. Operations Cost, over the lifetime of buildings, far exceed the First Cost of the building. Virtual Mass PCM Systems allow you to reduce First Cost and reduce Operations Costs. Not only does your building perform better but its asset value increases significantly. Virtual Mass PCM can be designed into new buildings as roof and wall passive systems or as active systems. Air conditioning energy savings will be from 30-75% depending upon the system designed. MCR Guam will interface directly with your mechanical team to develop a strategy for PCM implementation, and can provide materials only or full PCM system design and installation.